Presumption of capacity: recognition that everyone has the right to make their own decisions if they have the capacity to do so. Maximising decision making capacity: people should be supported and empowered to be able to make their own decisions. Right to make unwise decisions: people have the right to make decisions that others might think are unwise. Best interests: any decision or action carried out on someone’s behalf must be in their best interests. Least restrictive option: any decision or action carried out on someone’s behalf must be the least restrictive on a person’s rights or freedoms (this is called proportionality). 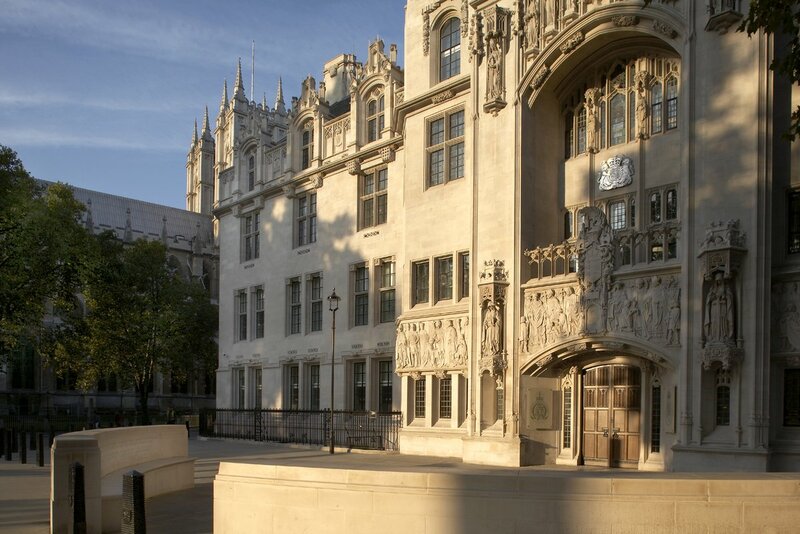 The House of Lords has just announced the formation of a committee with a remit to examine the Mental Capacity Act in the light of concerns that the procedural safeguards in the Act may not be meeting the requirements of the Human Rights Act 1998.
admission constituted a deprivation of HL’s liberty and, further, that: the deprivation of liberty had not been in accordance with ‘a procedure prescribed by law’ and was, therefore, in breach of Article 5(1) of the E Conv HR. Also, there had been a contravention of Article 5(4) of the ECHR because HL had no means of applying quickly to a court to see if the deprivation of liberty was lawful. Deprivation of Liberty Safeguards (DOLS) are part of the Mental Capacity Act - see Schedule A1 inserted by the Mental Health Act 2007. They are intended to offer additional safeguards for people who lack capacity to ensure they do not have their freedom restricted more than is absolutely necessary, and that any restriction is in their best interests. The DOLS were created as a result of HL v UK. HL was not normally detained (“sectioned”) at Bournewood Hospital. There were no specific guidelines or safeguards for adults without capacity who are deprived of their liberty in hospitals and care homes whilst voluntary patients. The Court found that the detention of the man had been unlawful, and identified a gap in mental health law. The DOLS were designed to plug this gap by requiring an authority that wishes to deprive an adult who lacks capacity of their liberty to do so in a way that respects their human rights. Please see Overview of the Court of Protection. Parliament established the court by enacting Part 2 of the Mental Capacity Act 2005. It came into existence from 1st October 2007 and replaced earlier arrangements often confusingly referred to as court of protection proceedings. The Mental Health Act 1983 allows you to be detained and treated if you have a mental health disorder. The 2007 Act made several important changes to the 1983 Act - see the summary in the Explanatory Notes. For example, the MHA now places a duty on the authority to make reasonable arrangements for ‘qualifying patients’ to have access to an Independent Mental Health Advocate (IMHA). An IMHA can provide a range of support including helping people access information about their rights or any conditions or restrictions they have been placed under, and any medical treatment they are being given. There are considerable legal difficulties in relation to the whole area of "care homes" for the elderly and the vulnerable. A Care Quality Commission was created by the Health and Social Care Act 2008 The Commission enjoys considerable powers relating to registration of service providers and to inspection and enforcement - (see section 2 of the 2008 Act). The E Conv HR has been instrumental in improving the lot of those with mental health problems and the convention continues to have influence via the developing case law as well as through mechanisms such as the recently announced House of Lords committee on the Mental Health Act 2005. Without the requirement in the Human Rights Act 1998 section 6 for public authorities to act compatibly with convention rights, it is doubtful that these improvements would have been made. There is however no room for complacency as events such as Winterbourne demonstrate. 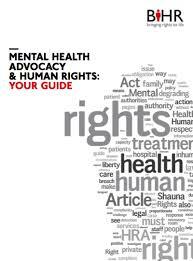 Thanks to Sanchita Hosali of the British Institute of Human Rights for agreement to the inclusion in this post of extracts from Mental Health Advocacy and Human Rights: Your Guide.